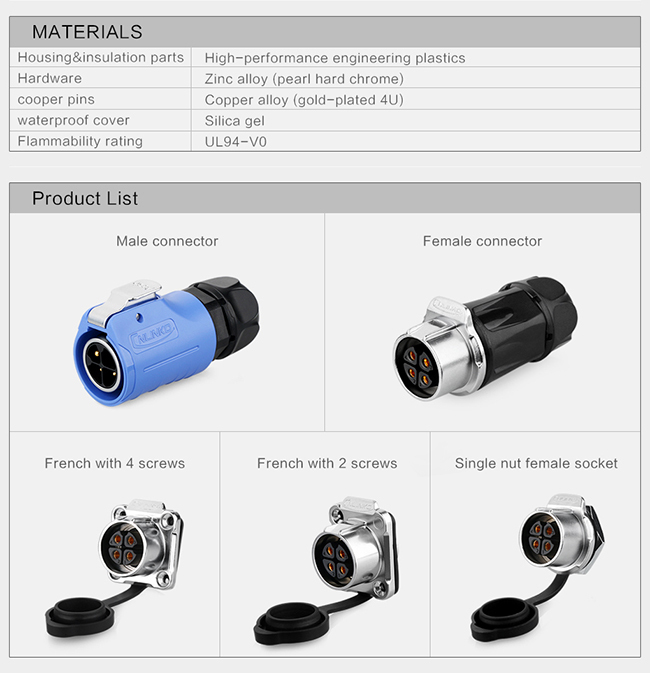 LP-20 series products , containing models with hole size 21mm.In order to meet different needs of industry ,we produce multi core (2/3/4/5/7/9/12pin) cable to cable and cable to panel mount type.we use nickel -plated and zinc alloy to guarantee quality and apply with international environment protection of industrial equiment as well. 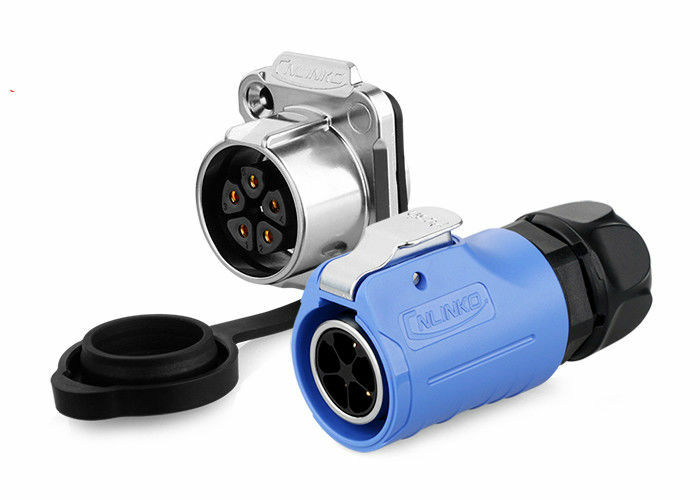 4. stable power and signal transmission,multi-pin power(2-12 pin) with positive and negative type. 5. formed wire technology on pins keep much stable while transmit and tempera ture rise. 6. solderand pressure on copper needles completely comply with outdoor installation. 2. 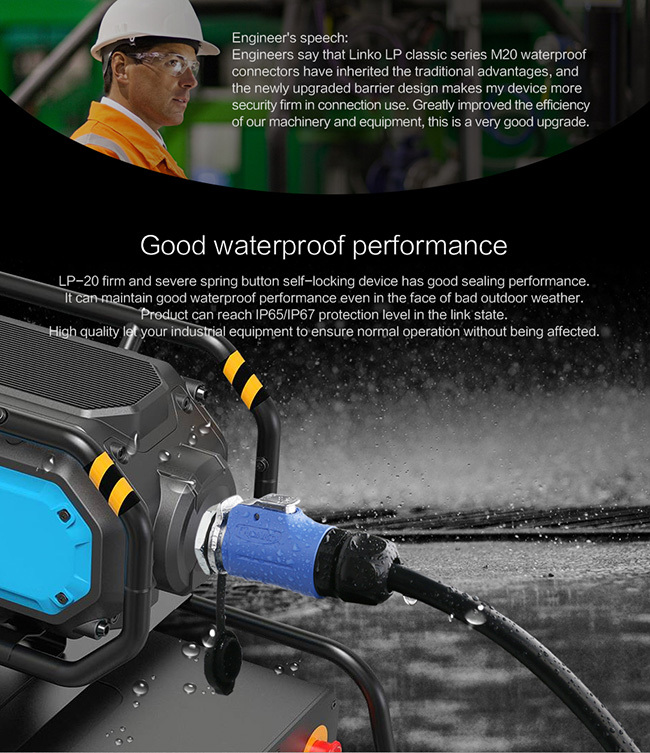 CNLINKO will provide waterproof connector technological maintenance and quuality guarantee within one year if any problem happens.